1) If you’re not a super-savvy makeup artist, choose a feature and learn it, live it, love it. It can be your lashes, your eyes, your skin, your lips. Whatever it is -- practice, get yourself a color that puts you in a great mood. Focus on one feature. People get makeup junked out, and suddenly you look like Mimi from the Drew Carey show! 2) If you like a smoky eye, always start with your eyes first. It really saves you in the foundation department. When you do a really smoky eye, you need less foundation because you have so much going on that it becomes the focal point of your makeup. For fast cleanup around the eyes after doing a smoky eye, M.A.C Fast Response Eye Cream on a sponge or a Q-tip is really the best way to go. It keeps the skin lubed, it breaks down any long-wearing product and it picks up everything so you don’t worry about getting it in your foundation. 4) Always take your makeup off at night. 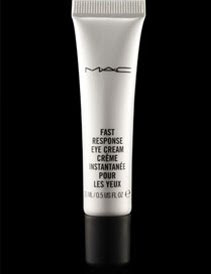 5) Concealer is the most overused and misunderstood product out there for the basic consumer. I think it’s important that people don’t try to cover up dark circles or imperfections with concealer. A sheer coat of foundation, then go back and spot conceal where needed -- [it's] better than 14 pounds of concealer under your eye! 6) If you want your lipstick to stay longer, stain your lips with a lip pencil, lightly powder it and then apply your lipstick or lipgloss. As your lipstick wears off, you still have color on your lip and you don’t wind up with duck mouth! What are your tips for applying mascara or false eyelashes? Always apply mascara last. If you are feeling up to the challenge, you can use a small brush like the #212, a square-tipped brush. Load it up with mascara and then use your mirror, tilt your head back. 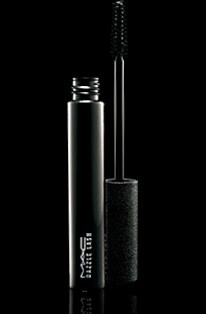 Press the black mascara right at the root, that helps to keep you from having marionette lashes. You can also use a little Smolder pencil in the waterline, that gets into the roots of the lashes to give more intensity. I’m also a fan of using a small brush to put on your first coat (like Dazzle Lash). Go right into the root and just wiggle out as hard as you can. Then let that dry and go back in with something like a Plushlash or Opulash. Swirl the brush from the top of your lashes out. It feels a little weird because it feels like you’re combing your lashes, but it gives you really intense lashes. If you want to apply false lashes, first curl your lashes, then apply a light coat of mascara, then apply the lash. Lashes stick better to a light coat of mascara than they do to plain lashes. How do you use Pigments, anyway? I use them dry, but I use them on top of something creamy. I love to use them over things like the Eye Kohls, because they leave a sticky almost Velcro finish, they just grab onto them. And the other thing that’s so unique about the Pigments, especially ones like Pink Pearl and Old Gold and Blue Brown and Pink Opal, is that they’re duochromatic. So if you manipulate them and put them over something black or something dark, it actually brings out one of the other shades in the color. You get this really diaphanous, multifaceted, multicolored eye with no work, which I’m all about! Take your brush and run it through your fingers before you put it into the Pigment, because your fingers have natural oils on them. It will make the brush a little sticky, and when you pick up the Pigment, it doesn’t fall off as much. 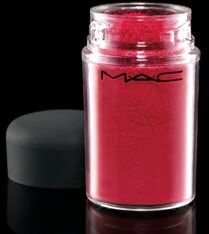 Then you can press it on that sticky Eye Kohl and it really holds and gives you this really intense, metallic, oil slick effect on the eye. I use the lid most of the time, because then you can press it into the brush and you don’t get as much fallout. 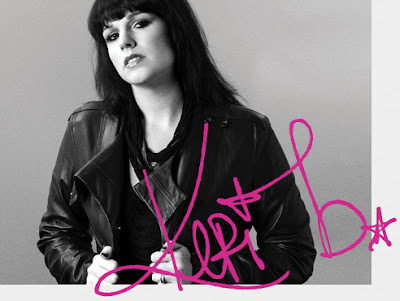 To follow Keri Blair on Twitter, click here.